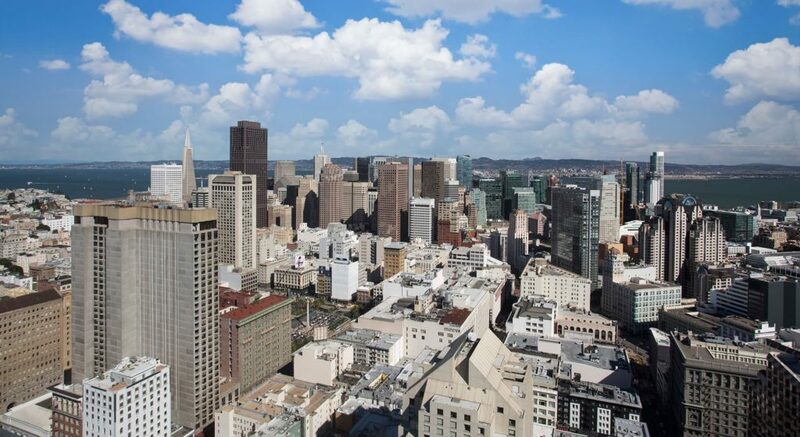 There are literally millions of tourists that pick the San Francisco Bay Area as their travel destination each year. Yet it’s sometimes easy to forget all the amazing sights and attractions we have right here at our fingertips. 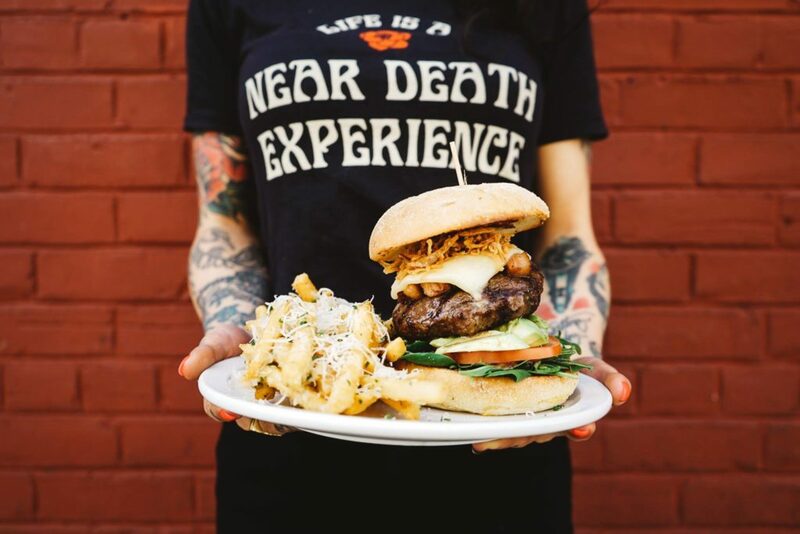 BARTable is here to remind us just how good we have it. And also shower some lucky winners with a dreamy staycation for two. 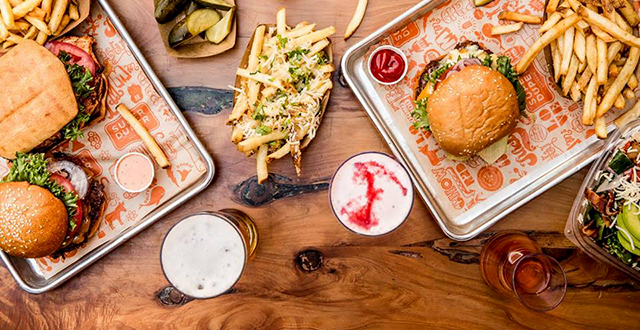 BARTable is offering five of these travel packages: three in San Francisco, one in Berkeley and one in Oakland. Get ready to pack a small overnight bag and your phone…to take photos! Skip the work emails. And get ready to head out on a staycation adventure! Here is a look at the first of five BARTable giveaway packages (valued at $935). 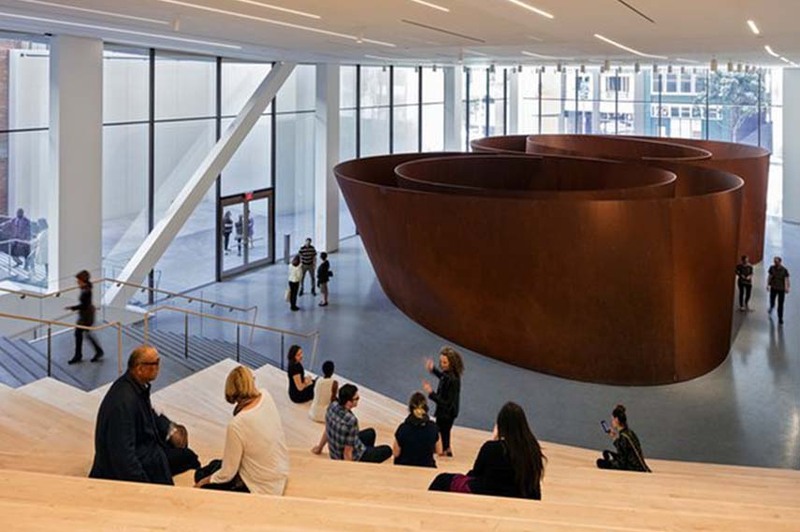 Plus some other things to do in this downtown San Francisco area—all within walking distance from BART. 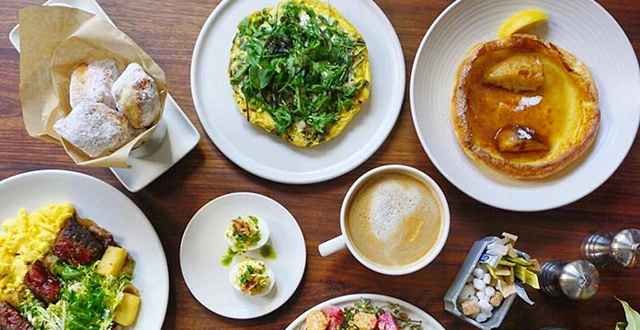 Parc 55 Hotel is a quick hop and a skip from Powell Station BART. Be ready to drop off your bags and head off for a full day of museum cruisin’! 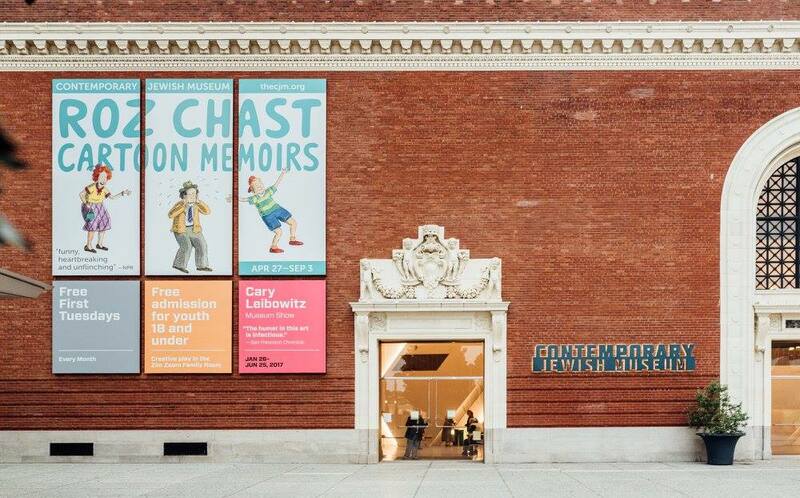 Currently on display at the CJM is “Roz Chast’s Cartoon Memoirs,” a retrospective exhibition. 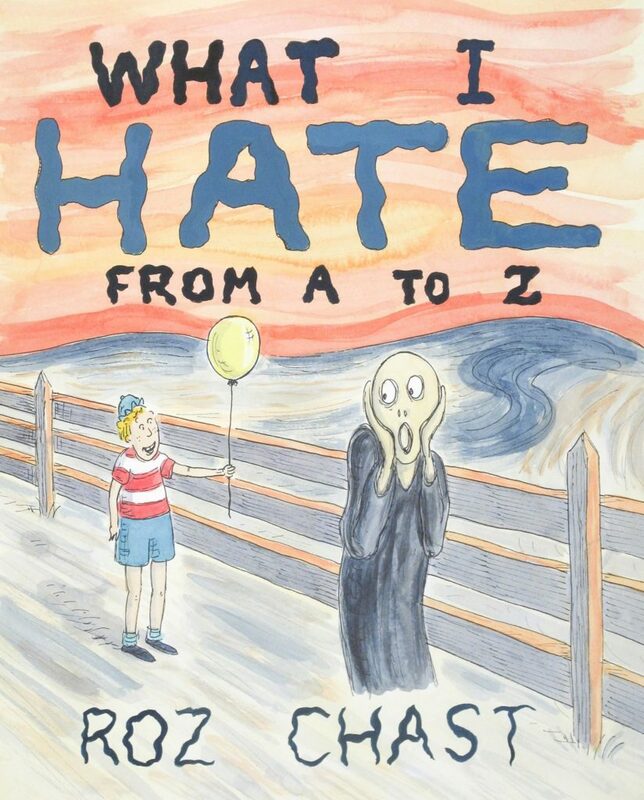 Chast is one of the most celebrated and beloved cartoonists working in the United States today and has been publishing with the New Yorker since 1978. 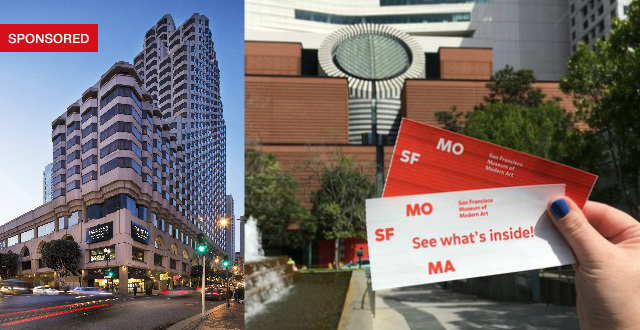 Next up on the list is the San Francisco Museum of Modern Art (SFMOMA). This building is also hard to miss! 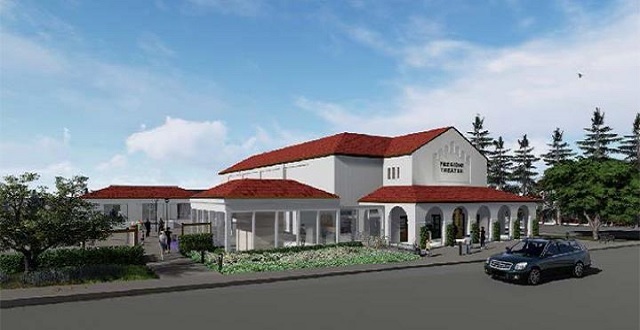 The museum was remodeled and reopened just last year, and if you haven’t seen the newly expanded museum, it’s about time! The museum now has nearly three times more gallery space than before. 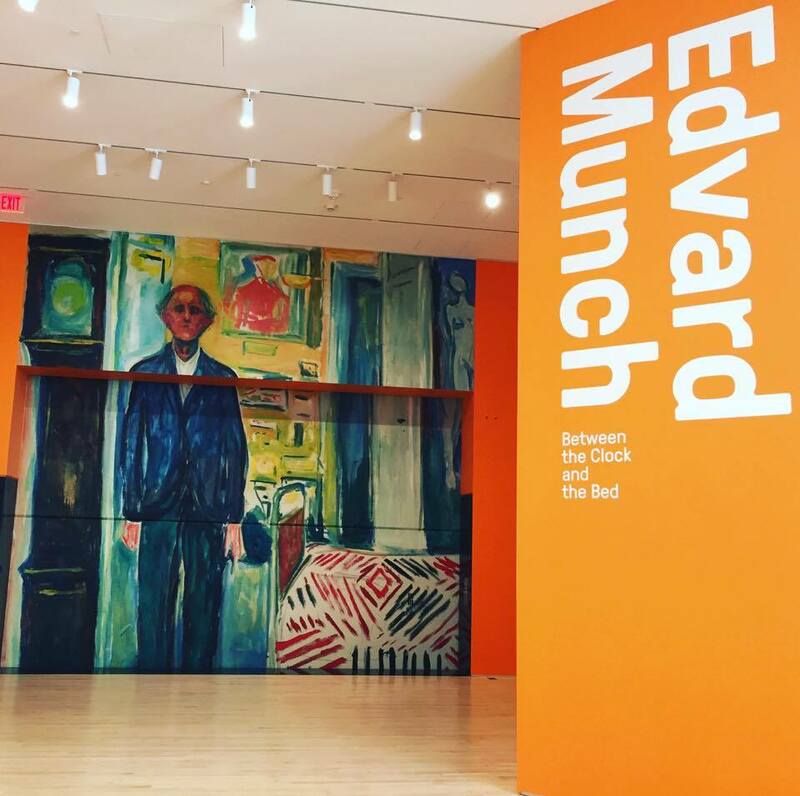 Opening just at the end of June is the newest Edvard Munch exhibit. 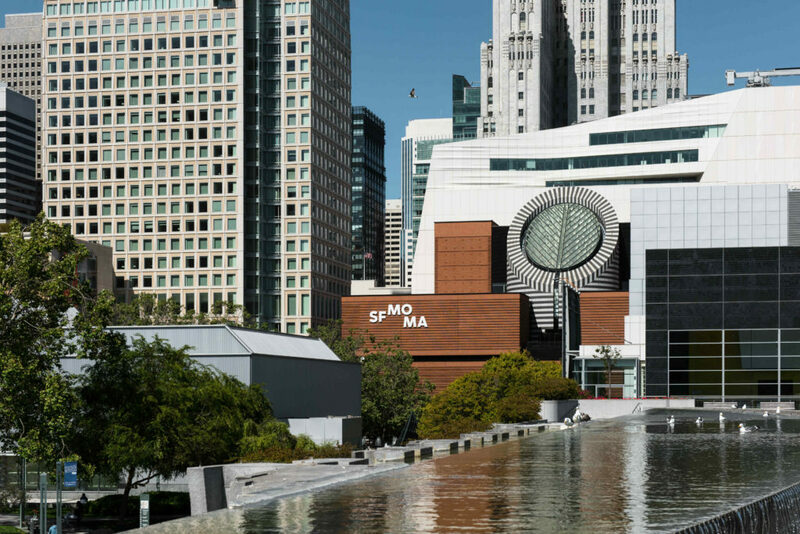 You might first recognize the famous figurative painters work from his iconic “Scream” painting, but there are plenty of other pieces to see within the 45-painting collection at the SFMOMA. 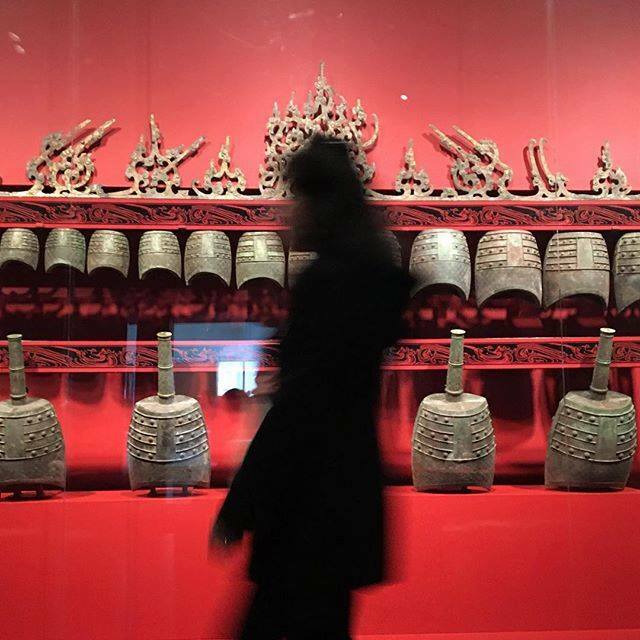 Fun fact: the collection includes seven paintings which have never been shown in the U.S..
You won’t want to rush through the Asian Art Museum, so maybe save this one for Day Two of your staycation adventure. 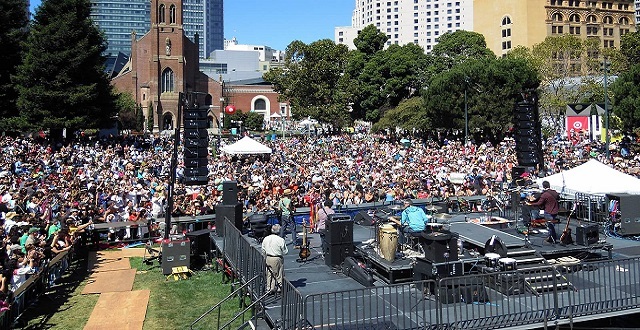 Less than a five-minute walk from Civic Center/UN Plaza BART and you’ll be at the steps of the Asian Art Museum. 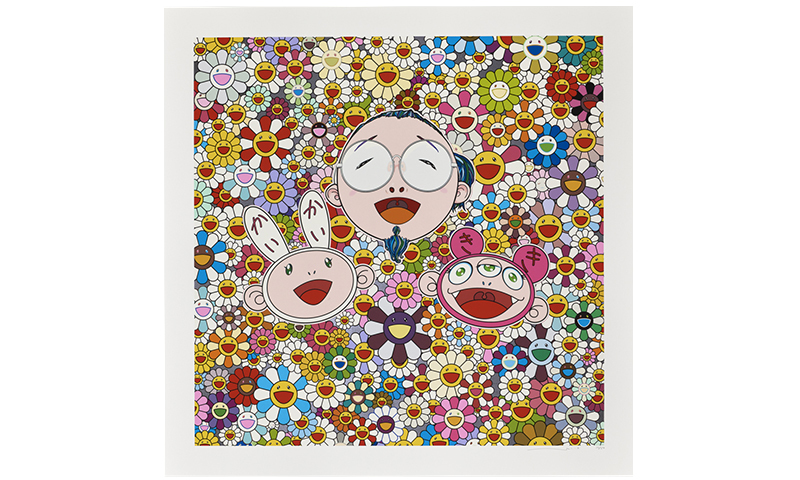 In light of the Summer of Love’s 50th Anniversary which is a theme throughout the city, the Asian Art Museum’s current exhibition is “Flower Power.” Flowers are seen throughout traditional Asian motifs and is carried through historical pieces and on to more contemporary artists, including the very-current Takashi Murakami—a “flower power” king in his own right. Also included in this package is the Fisherman’s Wharf Segway Tour (Electric Touring Co) for two. Valued at $150 this is your chance to finally try out a segway scooter. 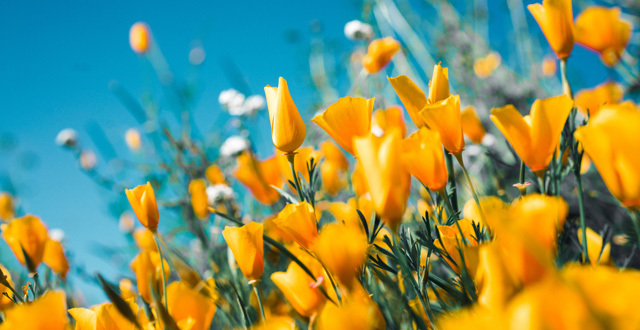 There are a couple different tour options letting you safely zip around different parts of town, including the Waterfront, North Beach and Golden Gate Park. 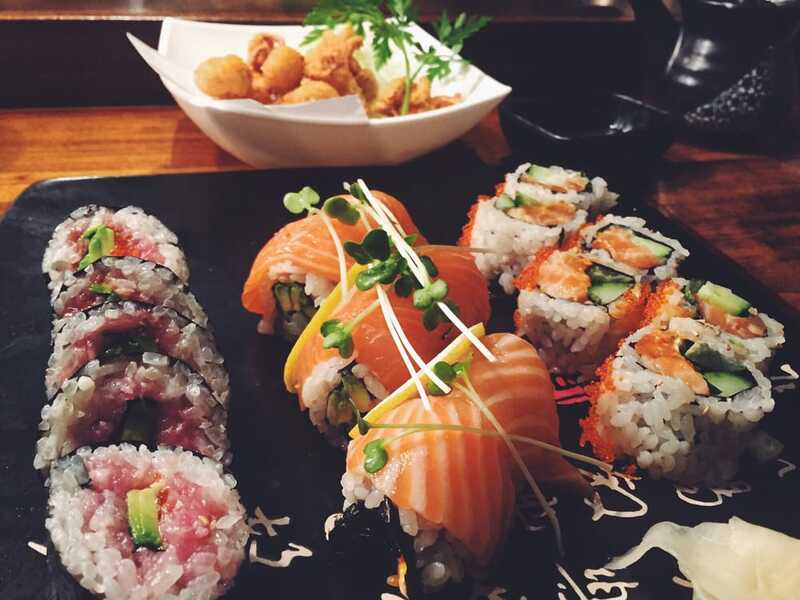 Ryoko's, Yelp User: Rafaella S.
Jones, Yelp user: Wanugee N.
Looking for even more BARTable destinations in downtown San Francisco? 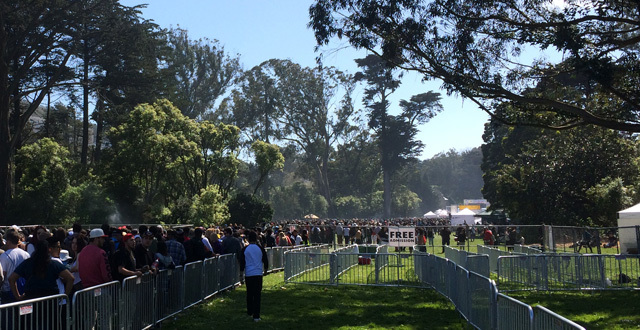 Here are some of our favorite locations…all less than half a mile from BART. 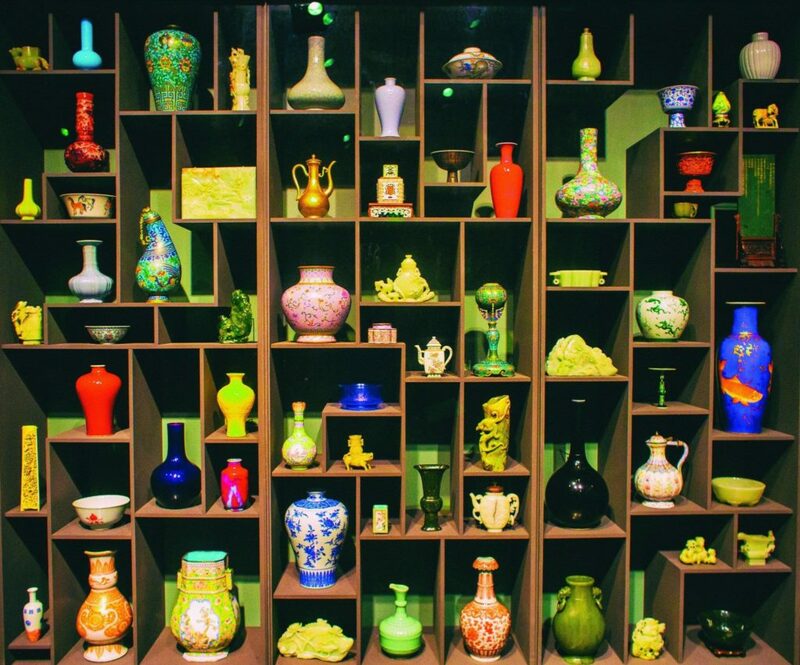 A 5-minute walk from the Asian Art Museum is Chambers. This swanky vinyl record-filled haven is connected to the Phoenix Hotel. This dimly-lit establishment, complete with a pool in the hotel’s patio area, deserves an A+ for ambiance. 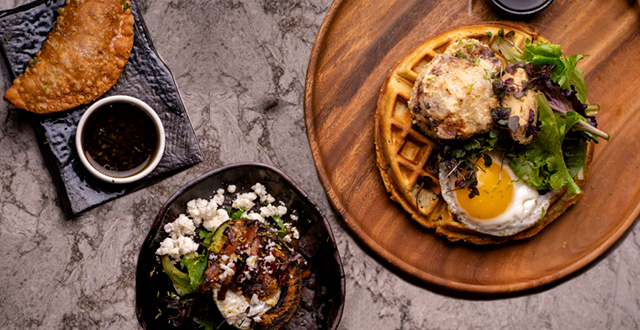 Stop in either for brunch or dinner, you won’t go wrong with either option. If crusty bars and graffiti-filled bathrooms are a major turn off, then you better skip the Tempest. But if you are down for a little dive bar action this place is a true diamond in the rough. Try the potato skins with crispy pork belly, charred green onions, gouda cheese, creme, and quail egg. Order food at the Box Kitchen (that little door next to Tempest entrance). It’s easy to miss Ryoko’s if you’re not looking for it. But, if you are looking for sushi, this is a great option. Head down the stairs into this basement-level sushi bar with top-notch sushi. The hip and bustling atmosphere, complete with a DJ playing in the corner is, really feels like something you might find in Tokyo. The sushi menu is long, and still, everything you order is fresh and well-executed. —all within a reasonable price range. 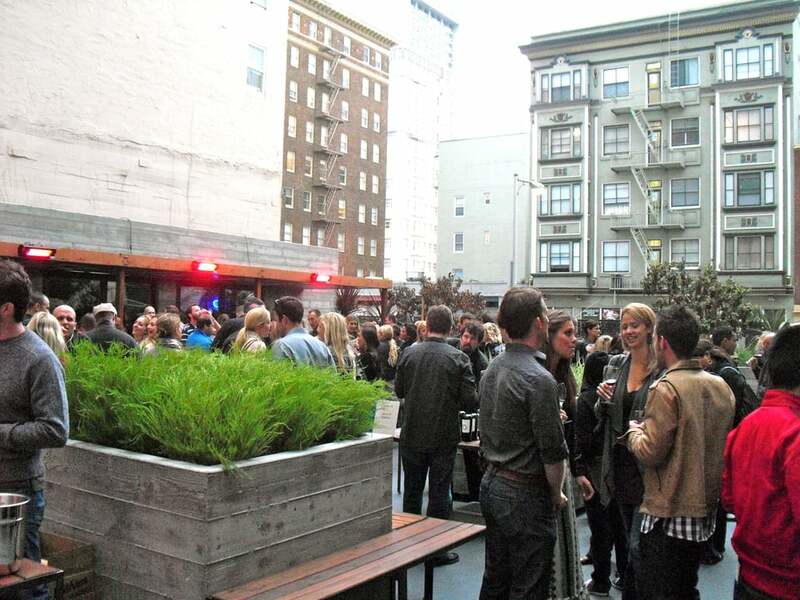 Jones is frequently named one of the top rooftop bars in San Francisco and for good reason. 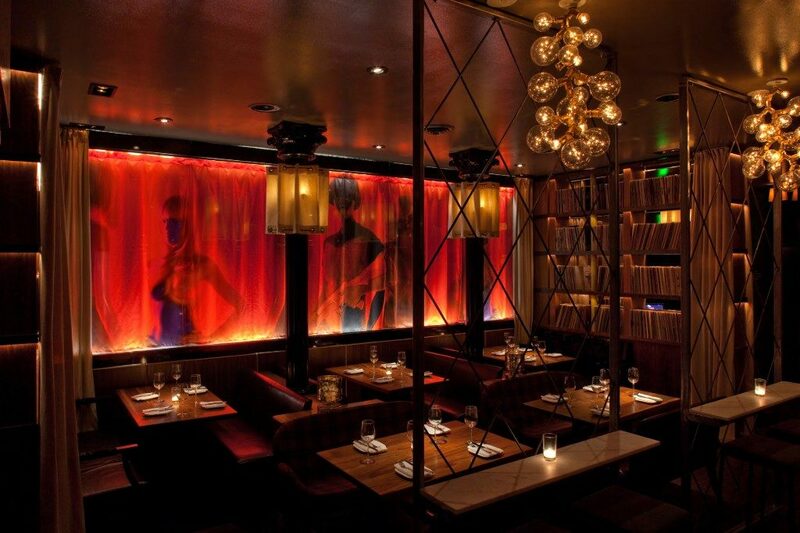 Don’t be intimidated by the swanky exterior and gorgeous hostesses at the entrance. The staff and patrons here are pretty friendly. Head to the small bar out on the patio; try one of their signature cocktails and get some bar bites. Note: this is a cash bar so do come prepared. If you do head to Jones, be sure to be on the look out for the Nychos mural located on Geary between Jones and Taylor. 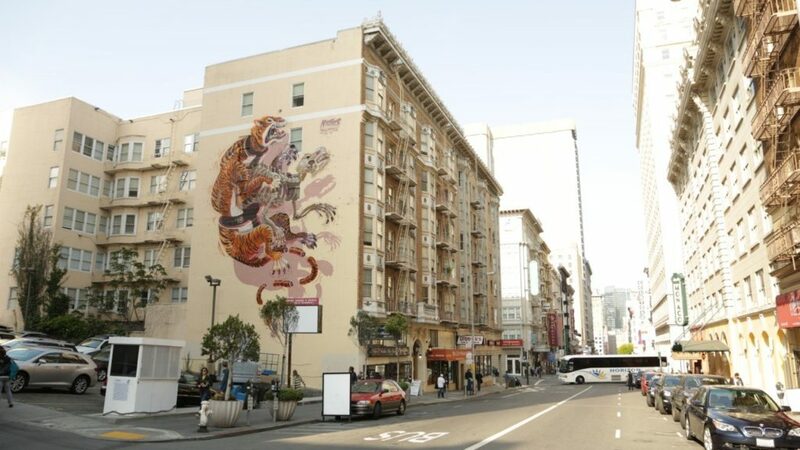 This 6-story high dissected tiger visually leaps from the wall and is noted as being the first time the Vienna-based artist painted a mural in SF. San Francisco’s streets are filled with street art and murals. 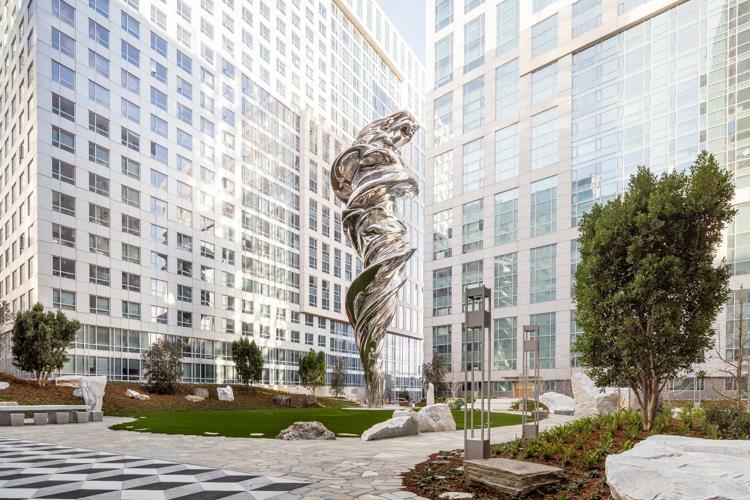 One of the newest and strangest is the giant ‘Venus’ lady sculpture at Trinity Place Apartments. The massive sculpture was completed about just over a year ago but it’s only very minimally visible from 8th Street. Take a moment to go look at it. It’s part of the “1% for art” program, in which downtown developers are required to pay the equivalent of 1 percent of a project’s cost to fund public art. The result, in this case, was a $5 million installation that stands at 92 feet, just a tad bit shorter than the Statue of Liberty. Open Friday and Saturday, 11-4pm, Sketchpad Gallery is a gallery on the rise. 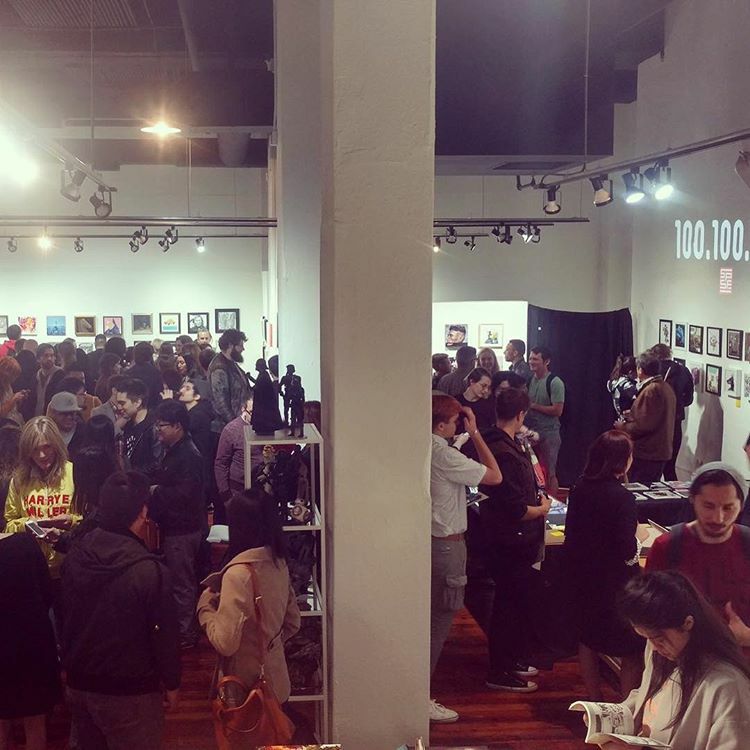 Specializing in contemporary and entertainment illustration, the brightly-lit gallery is quickly becoming a go-to for the SF artist community. The space includes an adorable gift shop complete with postcards, prints and art books—many of which are produced by local artists and illustrators of today. It’s the perfect place to find a “non-touristy” souvenir from your staycation adventure! 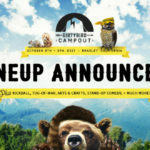 Stay tuned for details on the other packages coming later within the month.